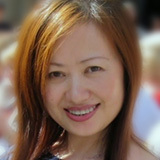 Dr Christine Cui has a PhD degree in Chinese Medicine (Gynaecology – Reproductive Department) from the Nanjing University of Chinese Medicine in China. Dr Cui is a registered chinese medicine practitioner with the Registration the Australian Health Practitioner Regulation Agency (AHPRA) , an accredited member of the Australian Acupuncture & Chinese Medicine Association Ltd (AACMA) and of the Federation of Chinese Medicine & Acupuncture Societies of Australia Ltd (FCMA). In 1999, Dr Cui established the Women’s Health Clinic at 517 St Kilda Road, Melbourne. Over the last 14 years Dr Cui has successfully treated a wide range of women’s health issues with Acupuncture and Chinese herbal medicine, with patients experiencing significant relief from painful and persistent symptoms and conditions. Dr Christine Cui is a specialist in Chinese Medicine Gynaecology and its applications for infertility, natural fertility and women’s health, having practiced extensively in both China and Australia for over 20 years. In using Chinese Medicine and Acupuncture to tackle women’s health issues, Dr Cui explores the underlying causes of a condition or illness, and approaches treatment through an assessment of the overall state of an individual’s health and wellbeing. Conditions that can benefit from Dr Cui’s use of Acupuncture and Chinese herbal medicine include natural fertility, unexplained infertility, miscarriages, Endometriosis, Period Pain, Pelvic Inflammatory Disease (PID), irregular uterine bleeding, UTI, Polycystic Ovarian Syndrome (P.C.O.S) and Thyroid Dysfunction. Acupuncture is also a well-recognised form of IVF Acupuncture, with proven results in increasing a woman’s chances of successful in vitro fertilisation. Both Acupuncture and Chinese herbal medicine can be used to ease problems such as painful periods, pre-menstrual syndrome and menopausal symptoms. Chinese herbal medicine and Acupuncture provide a natural, drug-free and highly effective way of addressing a range of women’s health issues and restoring a woman’s mental, physical and emotional balance. Discover more about our range of services and treatment options by contacting our team. Make an appointment by calling (03) 9820 8651 and we will be happy to discuss your requirements and arrange a consultation. You can also leave your details in our contact form and we will get back to you as soon as we can. Samantha is our amazing practice manager and has been with us right from the birth of the practice. Samantha brings a wealth of experience to a role that demands an understanding of the level of service our patients expect, and what we need as a practice to consistently deliver that service. This ensures the smooth running of the entire clinic on a daily basis, and at the same time, ensuring our patients have an exceptional experience during their visits. Despite the demanding role, Samantha always put on a friendly smile. Her pleasant and calming demeanour has a way of easing the nerves of even our most anxious patients. Samantha also has an extraordinary ability to remember our patients names, family and personal circumstances. Prior to “Dr. Christine Cui Clinic” Samantha has worked in various roles, with experience in customer service, administration, and client coordination within the construction industry. She is passionate in ensuring that all our patients experience the highest level of customer service when visiting our practice. Natasha is the newest addition to the team of Dr Christine Cui clinic. As the reception, she will try her best in assisting all patients’ needs. She graduated with engineering background developing exceptional strengths in critical problem solving, organizational, and management. She always has eagerness towards new challenges and learning. Her previous work experiences demonstrate ability to liaise with customers and work as part of a diverse team to meet objectives. In her spare time, she enjoys watching movies and doing Pilates. She has attention to details and very patience when dealing with children or patients who come to the clinic. Prior to working at Dr Christine Cui Clinic she worked in various roles with experience in customer services as well as administration. She can relate well to the customers and able to adapt very quickly. She has also done some multi-tasking roles and is able to prioritise her work and manage her time well. Evangelia is our amazing employee who has been with the Dr Christine Cui practice since 2015. Evangelia always try to provide her best for the patients and allocating each patients’ appointments according to their needs and expectations. She has been excellent in providing information regarding the practice whenever new patients enquire or come in. Her passion in children has enabled her to entertain and accompany patients’ children so that the mothers can attend their consultation runs smoothly and conveniently for the patients. She also excels in administration and customer service skills and handling other work necessary in the clinic. Prior to working at Dr Christine Cui clinic, Evangelia has been working in various accounting and administrative roles as well as child care educator. She is passionate in taking care administrative work as well as child care roles and continues to do so until now. Her current role as secretary has improved her customer service skill, multi-tasking skill and time management skill significantly. Dr Christine Cui is a highly trained in Chinese Medicine Traditional Gynaecology and its applications for women's health and natural fertility, having practiced extensively in both China and Australia for over 25 years.